Friendly Dental of Somerset offers dental bridges at our Somerset location to improve your dental health and enhance your smile. In cases where dental implants aren't an option, a dental bridge may be the next best solution. All of your teeth play an important role in talking, chewing, and maintaining the right alignment of other teeth. Tooth loss does not necessarily have to occur as you age. But if you do lose teeth, they must be replaced to maintain proper function of your mouth. Luckily, there are options for correcting tooth loss. WHAT ARE DENTAL BRIDGES IN NEW JERSEY? Dental bridges a restorative devices used to replace one or more missing teeth. When a tooth is missing, a dental bridge may be used to “bridge” the gap between the remaining teeth. WHAT IS THE PROCESS FOR GETTING DENTAL BRIDGES IN NEW JERSEY? During your initial visits at Friendly Dental of Somerset, diagnostic models will be created in order to define the best dental bridge option for your specific case. Once the appropriate method of treatment is decided, the teeth used to attach the bridge (abutment teeth) are carefully prepared to receive crowns. Impressions are then taken and a temporary bridge will be cemented into place. 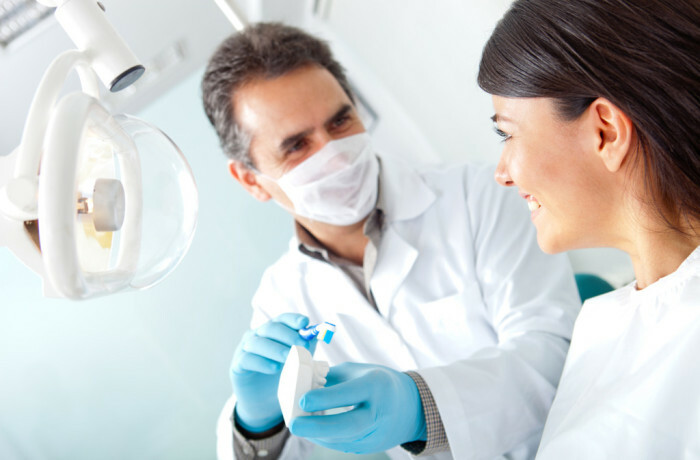 Your permanent dental bridges are created in a lab to match the exact measurements of your mouth. Once it is complete, you will come back to the office for a final visit and your final dental bridge will be cemented into place. At this time, your dentist will make any necessary adjustments to ensure a comfortable fit. The talented dentists at Friendly Dental of Somerset will be happy to discuss dental bridges in New Jersey with you. Please feel free to call (732)649-3860 schedule an appointment for a private consultation.